Enlarge / The iPad Pro is just one-fourth of an inch thick. Gadget-makers have long played with the idea of bendable displays, but this isn’t what they were going for: Apple has confirmed that some brand-new iPad Pro units have a slight bend to them—and this is expected and not a defect. 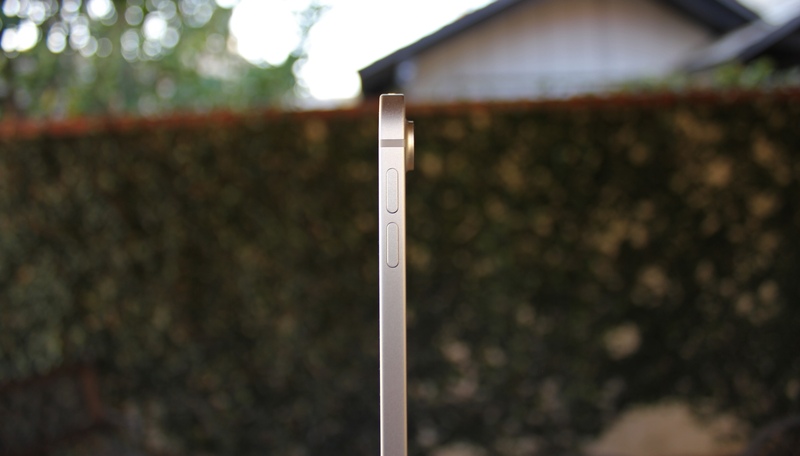 There are numerous stories and images of very slight bends on brand-new devices on the MacRumors forums, and The Verge’s Chris Welch observed the same issue in his own iPad. When The Verge reached out to Apple for comment, the company told the publication that the bending is “a side effect of the device’s manufacturing process and shouldn’t worsen over time or negatively affect the flagship iPad’s performance in any practical way.” (The Verge’s words.) Apple says the bending happens as a result of a cooling process used on the components when the device is manufactured. We examined our Apple-provided review unit of the 12.9-inch iPad Pro, which has been in our possession since late October but unused in storage since mid-November, and we did not observe any bending. But it’s clear from forums and other outlets that it’s a real issue. A few years ago, Apple faced a similar controversy over the iPhone 6 and 6 Plus, which the company’s own internal documents said were significantly more likely to bend—the iPhone 6 Plus was deemed 7.2 times more likely to bend than the iPhone 5S. Users reported that their phones were bending when stored in their back pockets. Apple replaced the affected iPhones under warranty. But since Apple says the iPad Pro bending is not a defect, it seems unlikely that Apple stores would replace the product as part of its warranty or even AppleCare. However, Apple offers a return policy on brand-new items that lets consumers return them within 14 days without any specific reason. That’s your best option if you have purchased an iPad Pro with this issue and it bugs you. In the grand scheme, this is a minor problem—all evidence points to it being purely cosmetic, and subtle at that. It doesn’t seem that it should dissuade anyone from buying an iPad Pro if they expect the device to otherwise meet their needs. But from a company that markets its products as being at the forefront of quality when it comes to design and materials, it’s not a great look.